← Can you solve the riddle of Morecambe and Wise in Lodge Moor? Deadline extended to Sunday 11 June – get your entries in now! 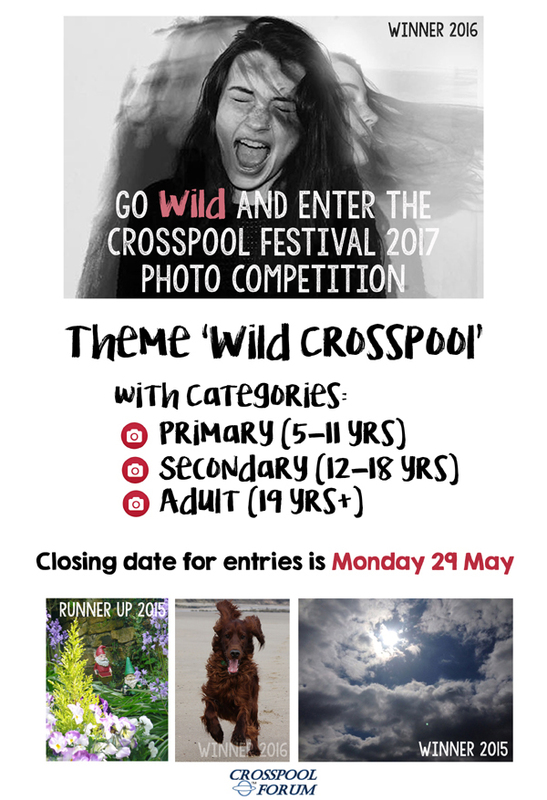 To enter the competition, take a great photo on the theme of Crosspool WILD and email it to crosspoolfestivalphotos@gmail.com. Use your imagination to portray wildness in Crosspool. Perhaps you might want to capture wildlife such as our birds, animals, trees and plants. Perhaps you take a snap of something or someone that has a wild look or appearance, or you capture an emotion, such as wild enthusiasm, excitement, joy or even anger. We also have some amazingly out-of-this-world events and activities here in Crosspool, including some wild weather at times! So there are plenty of opportunities to go wild with. Remember, the photo should make an impact, tell a story and follow the theme of wild. The closing date for entries is Monday 29 May Sunday 11 June. There will be prizes for all the category winners and their photo framed. The best three in each category will be put on the Crosspool Forum website http://www.crosspool.info where voting for the winners will take place. The exhibition at St Columba’s will display all the entries on Thursday 29 June from 1.30pm-4.30pm. You can also meet photographers from Sheffield Photographic Society, see their photos on display and ask them your photo questions. The winners will be announced at St Columba’s on Thursday 29 June at 4pm. Tea and coffee will be provided by St Columba’s. The prizes will be awarded at the Summer Fayre on Saturday 1 July. This entry was posted in crosspool, crosspool festival 2017 and tagged festival, photo competition, photography. Bookmark the permalink.